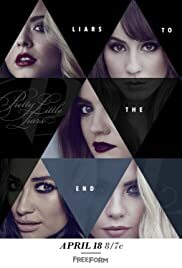 Set in the fictional town of Rosewood, Pennsylvania, the series follows the lives of four girls, Aria Montgomery, Hanna Marin, Emily Fields, and Spencer Hastings, whose clique falls apart after the disappearance of their leader, Alison DiLaurentis. One year later, the estranged friends are reunited as they begin receiving messages from a mysterious figure named "A", who threatens to expose their deepest secrets, including ones they thought only Alison knew. At first, they think it's Alison herself, but after her body is found, the girls realize that someone else is planning on ruining their perfect lives.